Community groups in Haverhill are celebrating after receiving more than £21,000 in the final round of a grant scheme, run by ONE Haverhill Partnership. Update: The Haverhill Town Centre Masterplan was Adopted by St Edmundsbury Council at a full cabinet members meeting in September 2015. A workshop which will allow prisoners at HMP Highpoint Prison to learn about vehicle maintenance in a bid to make them more employable has been officially opened. 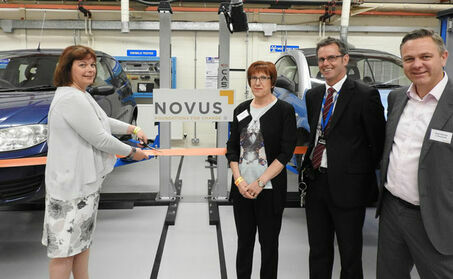 Sarah Howard, President of Suffolk Chamber of Commerce and Chair of the ONE Haverhill Partnership, cut the ribbon on the new workshop during an event which saw local employers gain a valuable insight into training programmes held within the Stradishall-based prison. The next meeting of the ONE Haverhill Partnership will take place on Wednesday 15th June at Haverhill Arts Centre. After the completion of a 12-week public consultation, the final Haverhill Town Centre Masterplan will go before St Edmundsbury Borough Council cabinet members and then full council next month (September). 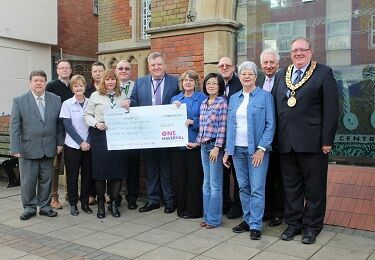 A community grant scheme that has given out more than £60,000 to organisations and groups across Haverhill has launched its final round of money available. 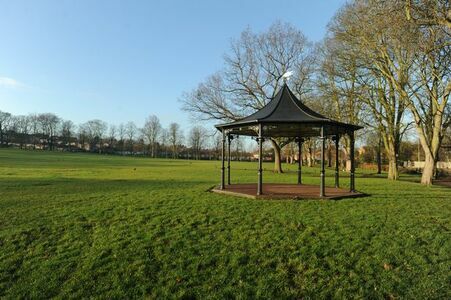 The last pot of money, provided by St Edmundsbury Borough Council, has now been made available with organisations invited to apply for a grant of up to £5,000 before the deadline of Friday 23 September. A youth skills project which has been at the forefront of helping hundreds of young people secure apprenticeships has been rewarded with funding for a further two years. The project set up by ONE Haverhill Partnership has exceeded all apprenticeship targets after close links were developed between business and education in the town. Public are welcome to attend the meeting at Haverhill Arts Centre. From hosting workshops encouraging local employers to give former offenders a second chance to giving a mini digger to help prisoners train in road maintenance, electricity firm UK Power Networks has long worked with HMP Highpoint Prison – and been one of the leading lights locally in helping to reduce reoffending. 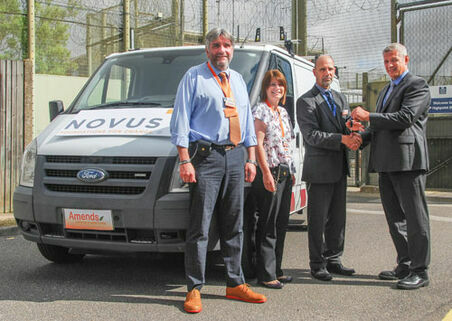 Now the company has donated a Ford Transit van from its fleet to help prisoners studying for engineering qualifications who need a constant supply of vehicles on which to learn and practice mechanics. A local history group wanting to retell Haverhill’s working past has paid tribute to a community grant scheme that made it possible. The Family History (Haverhill) Group was a beneficiary of the grants programme run by ONE Haverhill Partnership – and has urged other organisations and groups in the town to apply before the Friday 23 September deadline. 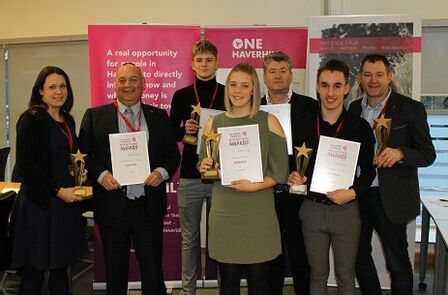 The achievements of apprentices in Haverhill have been marked by a special awards ceremony praising the work of both individuals and employers. Haverhill’s MP Matt Hancock has urged businesses and individuals to help celebrate apprenticeships in the town at a special awards ceremony. 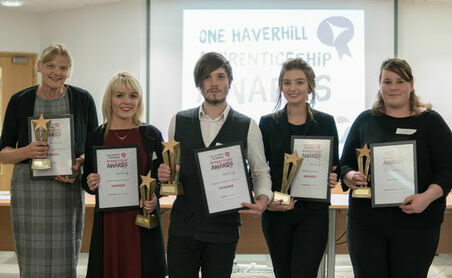 The ONE Haverhill Partnership Apprenticeship Awards will be held on Friday 18th November as a way of showcasing the importance of apprentices in Haverhill. The new chairman of ONE Haverhill Partnership has vowed to continue the “fantastic” work of the group after taking over at the helm. John Mayhew was last week elected to take over from Sarah Howard who is stepping down after three years as chairman. Community groups are being urged to attend an open meeting looking at ways of developing an innovative new health project in Haverhill. The chairman of ONE Haverhill Partnership has expressed disappointment over claims of a lack of progress of the Town Centre Masterplan. Exciting plans for a new health project exclusive to Haverhill have been given the green light thanks to more than £130,000 funding from central government and Suffolk County Council. One of the chief reasons behind the success of ONE Haverhill Partnership has been the key and close working between our various stakeholders. Voluntary organisations in Haverhill will benefit from free training courses delivered by Community Action Suffolk (CAS), following £1,000 of funding from One Haverhill Partnership. An exciting new health project in Haverhill will be fronted by the work of a 15-year-old student from the town. A change in the date of the next ONE Haverhill Partnership board meeting has enabled the deadline for the close of the public consultation on the new Business Plan to be extended until Sunday 9th July. After collating all the responses from a public consultation, the Business Plan was formally adopted by the ONE Haverhill Partnership board at their meeting in September. A public consultation into the ONE Haverhill Partnership Business Plan has now ended. The responses are now being collated. We would like to thank everyone who took part in the consultation. 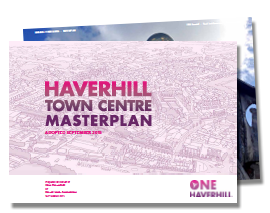 The Haverhill Town Centre Masterplan Task Group, set up to assist in implementing the Masterplan, gives an update on some of the latest news. 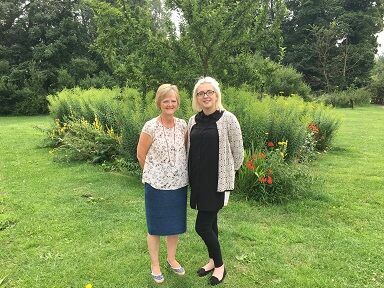 The two new coordinators tasked with helping to bring a new health and wellbeing project to Haverhill have spoken of their excitement about the new role. 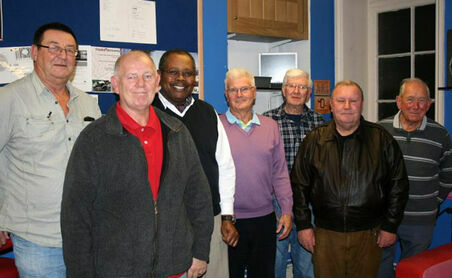 The Board of ONE Haverhill Partnership has re-elected John Mayhew and Henry Wilson for a second annual term as chairman and vice-chairman respectively. John said: "We are both very grateful for this show of confidence and we are delighted to look ahead to a second year following 12 months of real progress and success stories in our town." 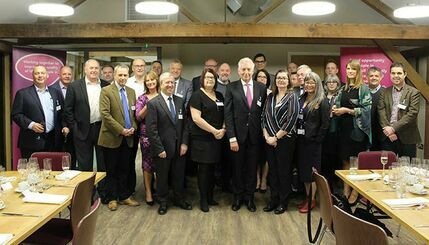 The One Haverhill Partnership Business Angels has been launched to encourage more businesses to get involved with ONE Haverhill Partnership and create a closer working relationship with local companies. 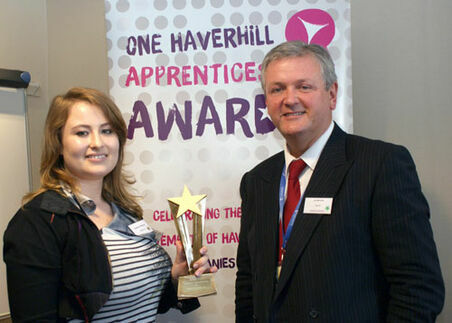 The ONE Haverhill Partnership Apprenticeship Awards was held at Sanofi to celebrate the success and achievements of apprentices and the employers that have committed themselves to the scheme. Working with partners to improve educational opportunities in our town has always been a big priority for ONE Haverhill Partnership. ONE Haverhill Partnership and the new High Sheriff of Suffolk, George Vestey, have teamed up to honour the unsung heroes of our community at a special event during National Volunteers Week. ONE Haverhill Partnership has announced plans to create a Business Improvement District (BID) in the town centre – amid estimates that it could see a further £1 million in making improvements and enhancing the economy. A garden party aimed at shining a spotlight on the voluntary unsung heroes of Haverhill has been hailed a success. A health project that encourages patients to take part in community activities to improve their wellbeing is celebrating its first birthday. We watched with interest this week as the Government announced a number of new plans to reinvigorate high streets. As soon as the job advert appeared in the Haverhill Echo, I had friends and family saying it was perfect for me. 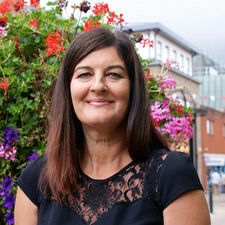 Five years ago, the position of Youth Skills Manager for ONE Haverhill Partnership was advertised to support, among other things, a greater emphasis of the apprenticeship scheme in our town. The Haverhill LifeLink project is to share a £663,000 funding boost - safeguarding the future of the scheme and paving the way for a third LifeLink Coordinator. 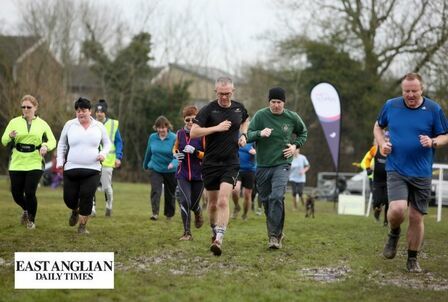 There have been some real success stories around Haverhill in recent weeks and it seems only right that we use this column to celebrate them. A free health information event designed to give useful and practical advice to local residents will be held next week. What a few weeks it has been for Haverhill. Only last month, I was writing about the scale of investment - and confidence - that was being poured into our town.